This amazing Jester Bag Kit has to be seen to be believed! Closed with a striped I-cord drawstring, it can be opened fully ensuring that nothing can ever get lost in the bottom. 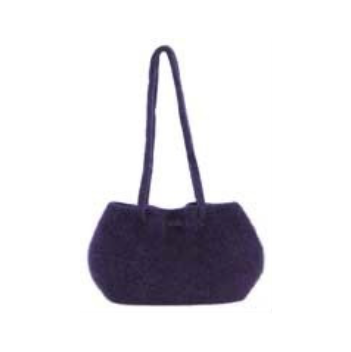 The jingle bells are not only fun, but increase security as you will soon hear if someone tries to move your bag. 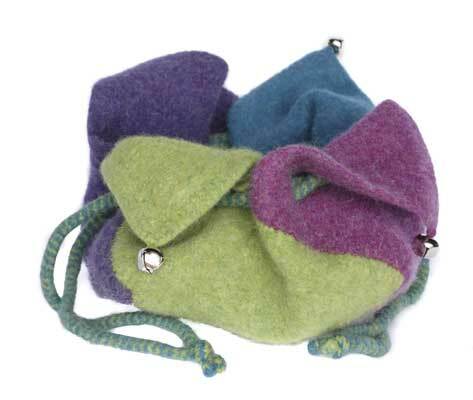 The kit contains 200g of British wool in each of two colours and four jingle bells. Two colour options are offered — Blues and Red/Methera(brown). Occasionally a limited edition third version is available too.